Long time no talk, right?!?! I hope you all have had an absolutely wonderful MONTH. I can't believe it has really been about that long since I last posted. It has been an incredible month for me - filled with great friends, great food, and great news! Let's do a little 4-week update through pictures, mmmkay?! My best friend married her best friend over the most BEAUTIFUL wedding weekend in St. Louis. Adorable cake @ the bridesmaids brunch @ Akra. All of the maids in front of Busch Stadium. Me & Justin @ the reception @ the Ritz Carlton. The oh-so-creative invitation display made by the very talented mother of the bride, Mrs. Donna Fiedler! 4 of the 6 bridesmaids @ the incredible wine & cheese shower. 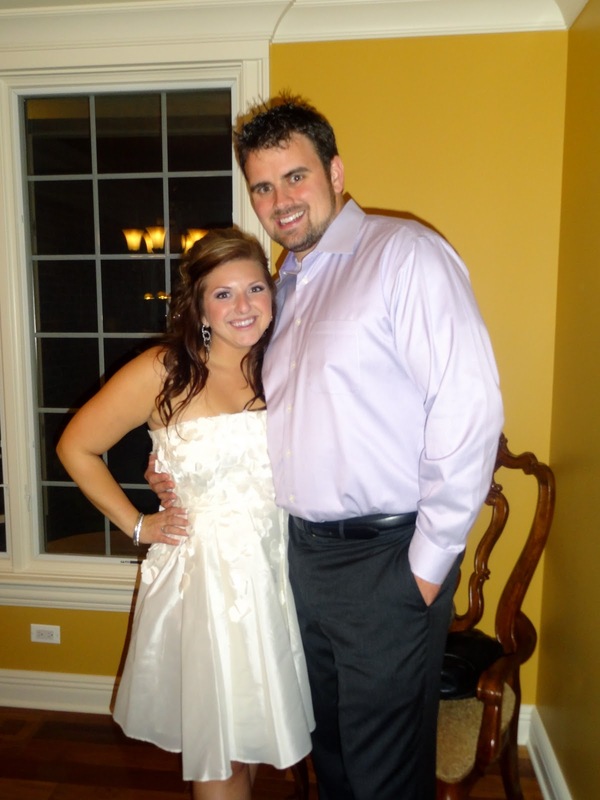 The beautiful bride Christina and her handsome hubby-to-be Matt! More bridesmaids at Christina's aunt's shower. The incredible cake (that's right, it's a CAKE!). I celebrated this past weekend with Christina at a girls' spa & wine weekend up in Wisconsin. All the lovely ladies at dinner @ the High Rock Cafe - it was delicious! Hmm... and what else happened?!??!?! That's right people! Woo to the hooooo hoooo hooooo. I am obviously feeling very blessed right now and I am really trying to enjoy every little life moment that is unfolding in front of me. My incredible fried Marie is also marrying her hunny Cooper. So, before I leave, I thought I'd give you a little Monday happiness courtesy of my favorite moment yet from the amazing new show, The X Factor. Seems like you've had a great month! Congrats again on the engagement!